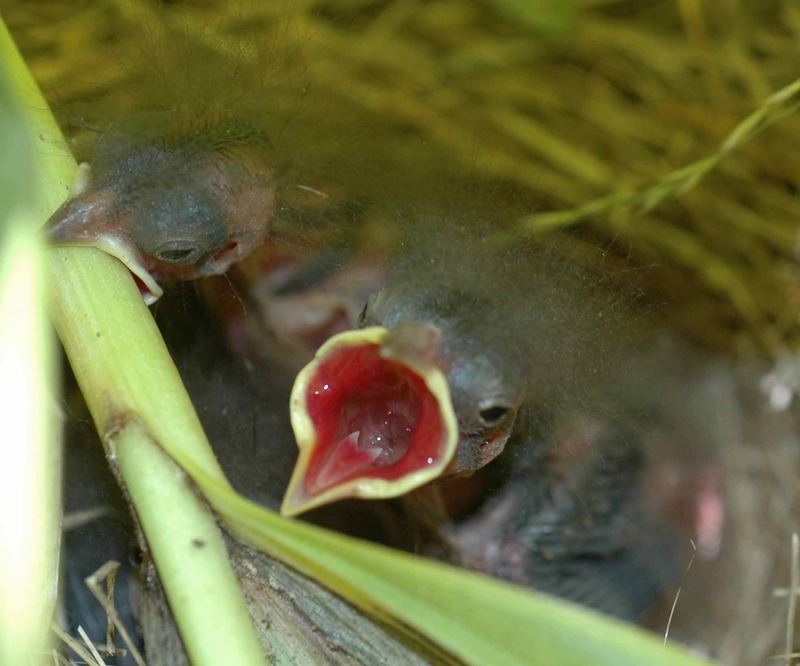 There are a few easy ways for baby juncos to distinguish me from their parents. For example, their parents have feathers and dark heads and are about their size, while I am a gigantic fabric-draped Godzilla monster. 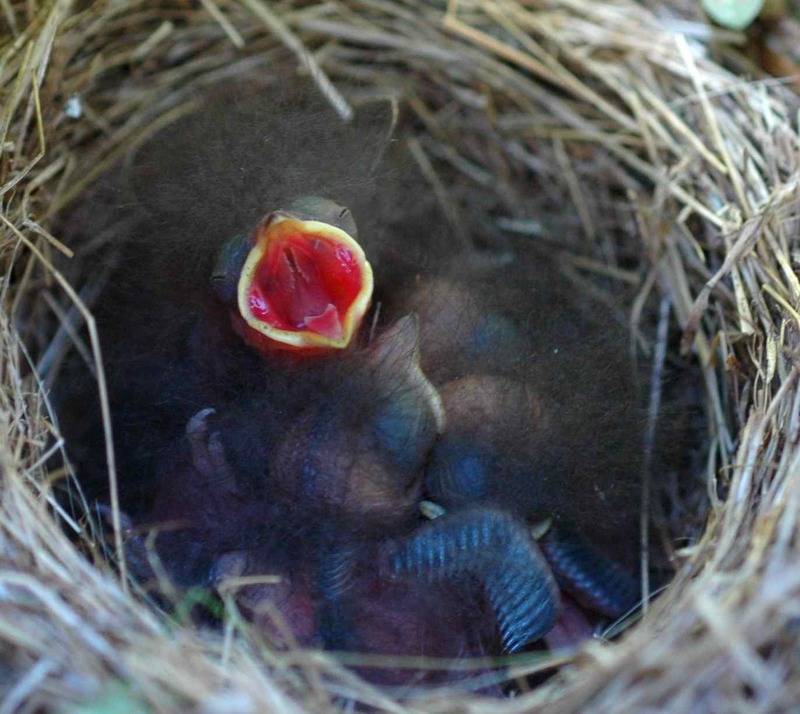 However, hungry chicks seem to not always be alert to such nuance, so I’ve accumulated quite a few photographs of the view down the gullets of baby juncos. 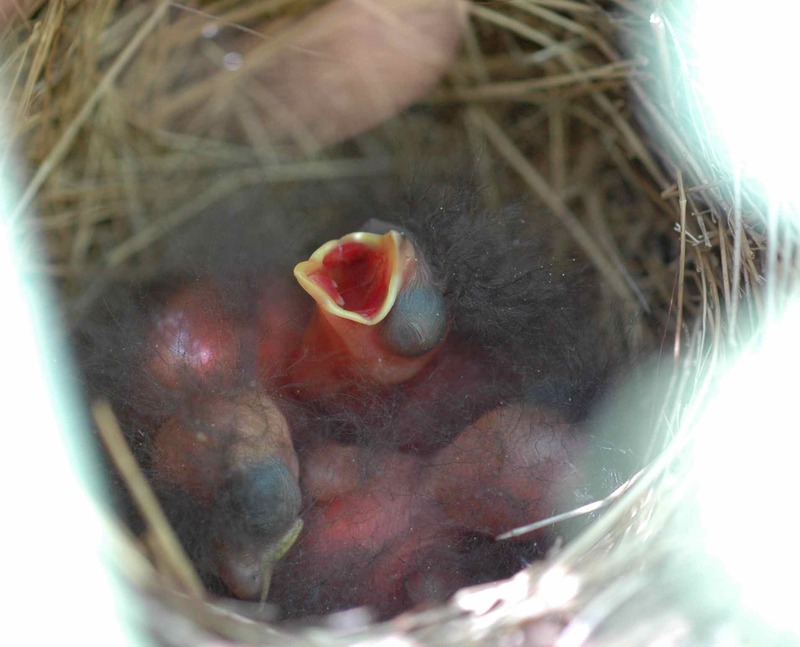 In the above photo you can see how the bright pink/red of the mouth, surrounded by the yellow bill outline, makes an obvious target for a parent with food. Mostly, though, I just like how these photos make the chicks look even more like crazy pink alien beings than usual. 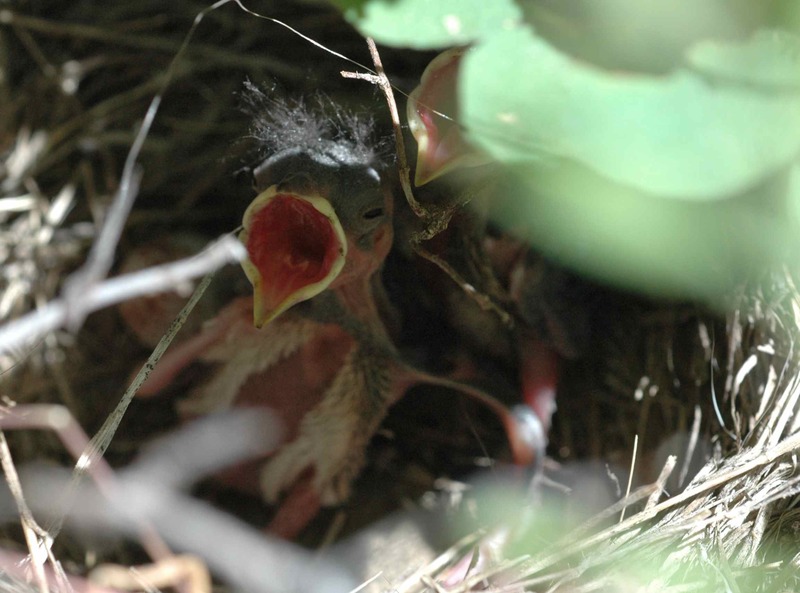 Sometimes the chicks get a little overenthusiastic. …and fell over backwards. Check out those flailing feet. So he just gaped anyway, while lying on his back. 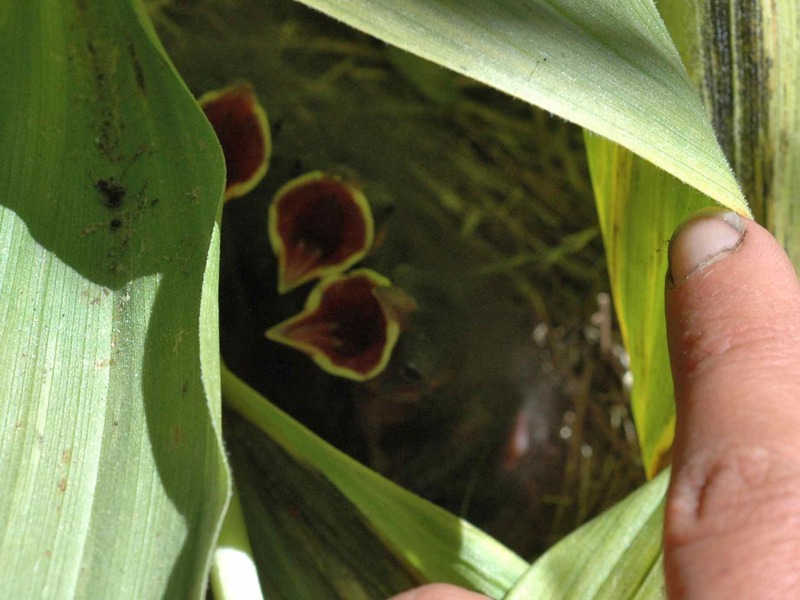 …and the one on the left decides he’s going to eat the stalk of the corn lily that has been over his nest for literally his entire life. 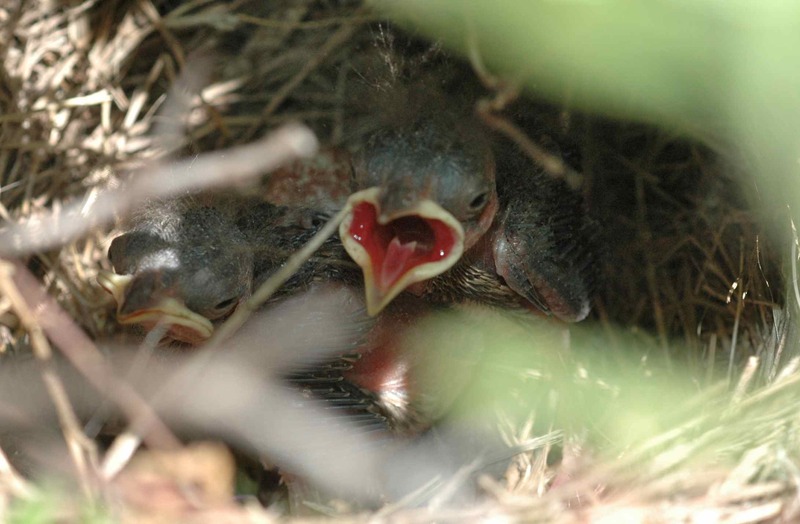 This entry was posted in DEJU and tagged birds, chicks, Dark-eyed Junco, nature, nestling by toughlittlebirds. Bookmark the permalink. 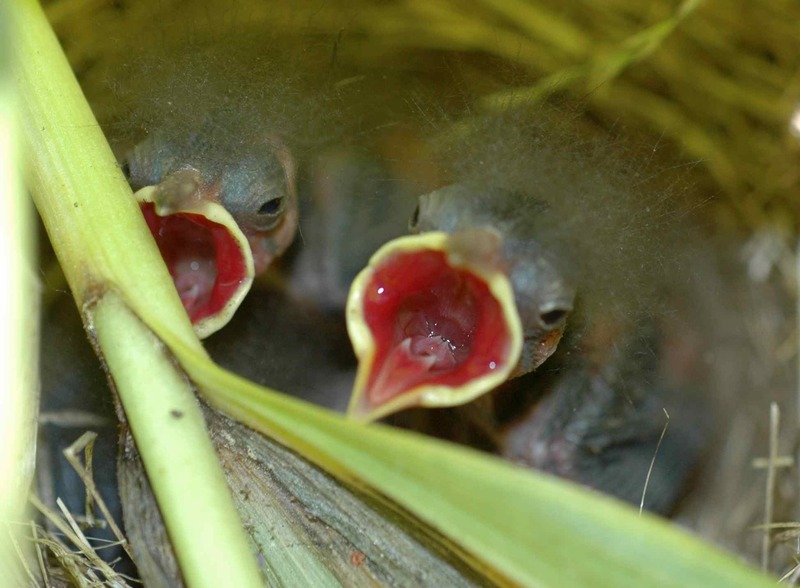 These photos suggest the nestlings keep their mouths open for quite a long time–2-3 seconds. True? 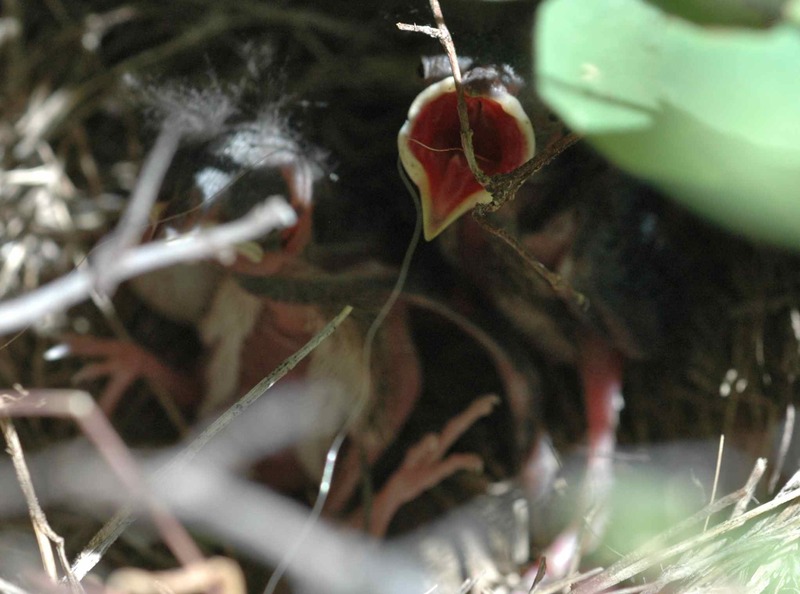 I remember a baby robin who’d always close his bill again just as I tried to drop eggy dog-food sliver into his gape. The little chicks do keep their bills open for a while. 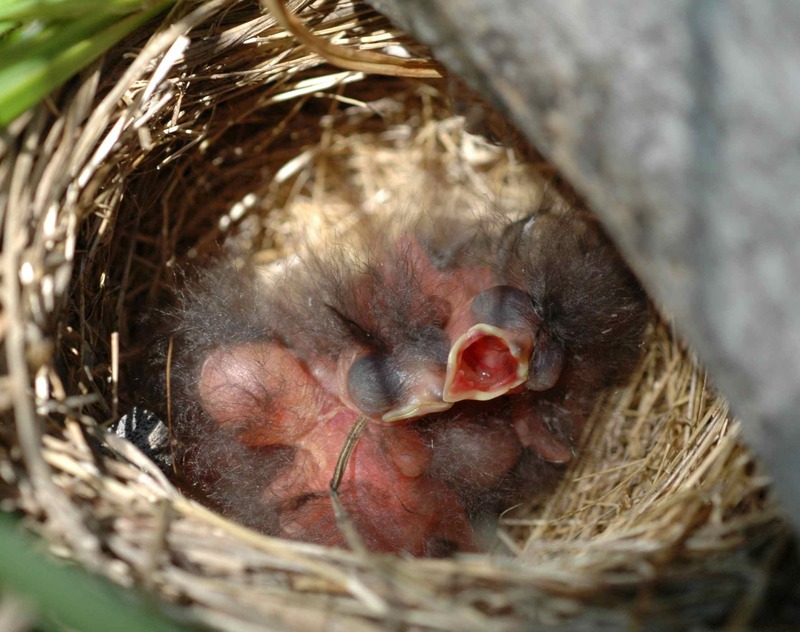 I think the robin was older than the chicks shown here; the older junco chicks seem to know we aren’t birds, and almost never gape at us. The robin may have been conflicted between hunger and a suspicion that we weren’t really her proper food providers, and so gaped a little but not so enthusiastically. Wonderful sequence. Don’t you just love the way that they reach toward the food. Trusting so much that something good will be put into their mouths. Great sequence of photos, really well done….amazing. 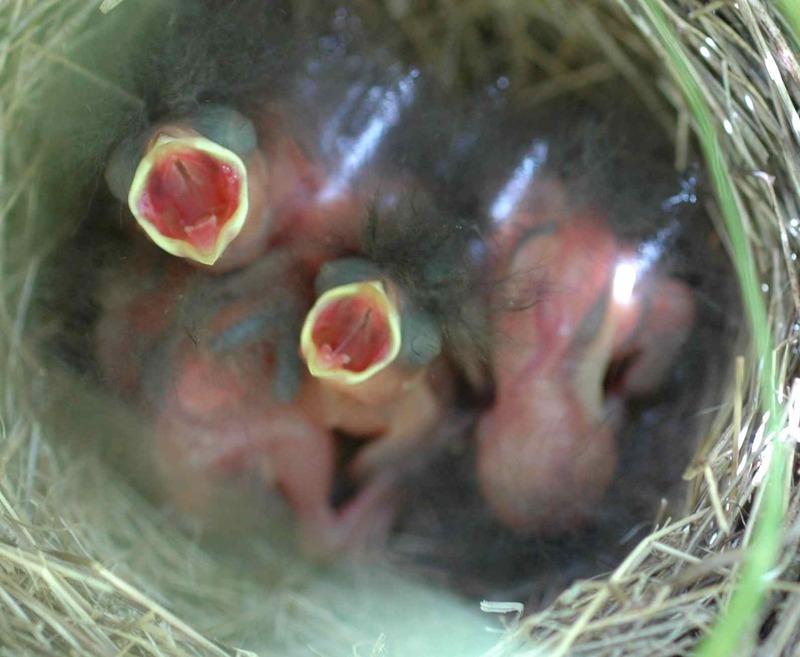 I just noticed something inside the chick’s mouths that looks like a flange designed to make sure they can’t push food out of their mouths, or to keep it from bouncing out. 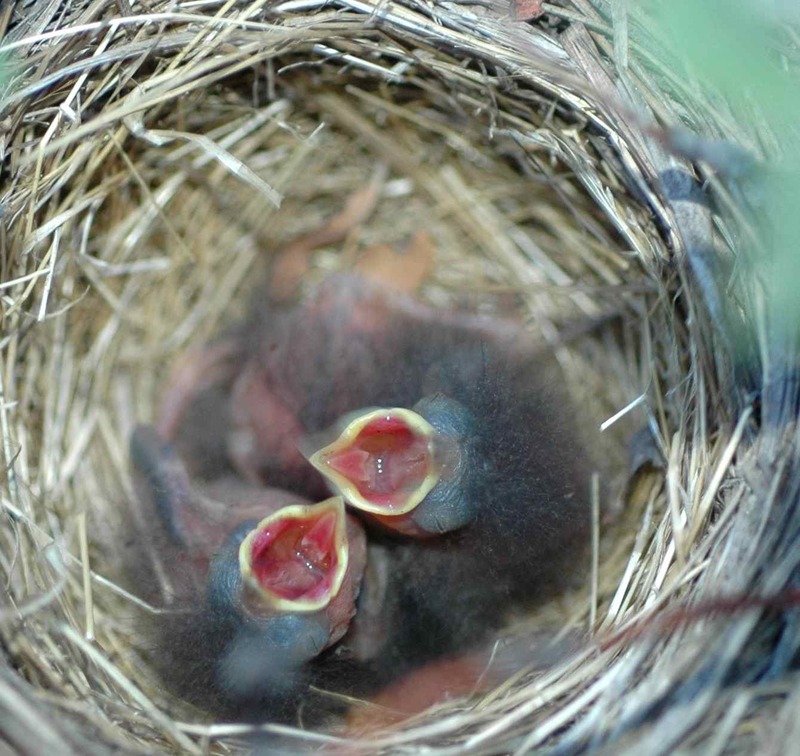 I see little pointy ridges with white tips: maybe that also helps the parent bird get the bug in the right place?